As the buzz of the Sunflower movement begins to fade away, we barely see any footprints. The marks of the once-passionate cause has now been washed away by daily motions and lack of urgency. However, sprang from the movement is the awareness of Taiwan’s “status quo” position and its lack of presence in the global community. Why? Because Taiwanese people themselves don’t care. I have heard Taiwanese people call themselves Chinese, saying that we’re all the same. Older generation have given up on hopes of global recognition and young people are chasing after things that don’t matter. I look around and I see a nation that has lost its way, its direction, and most unfortunately, its heart. I grew up in Taiwan until 2001, then I went back on average once a year for two months after that. I’ve always been proud to call myself Taiwanese. Why? Because of the 4 characters in every classroom, school, and the foundation of sociology in Taiwan. 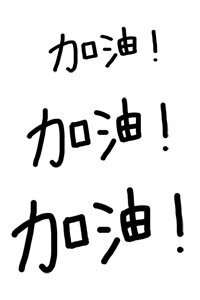 The 4 characters are etiquette, justice, honesty, and humility (禮義廉恥). You can see it in the hospitality and work ethics of the Taiwanese people. I still remember during the 921 earthquake in Taiwan in 1999, my mom and I were on the 16th floor with no water, food, and electricity. Fortunately, we had a neighbor from a different building that carried gallons of water up 16 floors to give to us. He had his own family as well, yet he was willing to take time and energy to bring it to us. This is the Taiwanese people I know. This is the people I’m fighting so hard for. This is the reason I’m proud to be Taiwanese. Sadly, recent events such as illegal recycling of oil, unethical businesses, unethical businesses that led to the KaoHsiung pipe explosion, and just a general lack of respect and honor for each other have made me embarrassed to be Taiwanese. Political parties using Sunflower movement to further their own agendas, business men taking advantage of the passion of younger generation, and so many other things that makes me want to just give up. Even China can see that by leaving Taiwan alone, it’ll either destroy or give up itself! The nationalism and patriotism that Koreans and Americans feel about their country and what they stand for is something Taiwanese people can look up to. Koreans love their culture, Samsung, food, etc. 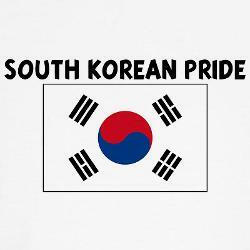 but most importantly they’re proud to be Kor eans. 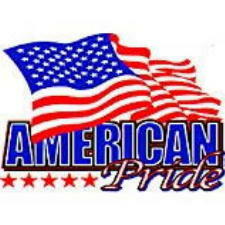 Americans believes in unalienable rights of life, liberty, and pursuit of happiness. American soldiers fight for those rights with their lives and are proud, even abroad. They believe those are basic human rights. Then … you see Taiwan. The four characters that we were taught to uphold are forgotten and aren’t lived out. Taiwan only boasts about tourism, buildings, and what’s left of nature. These things will fade as more tourists come in and take advantage of Taiwanese people’s hospitable hearts. I don’t care for your political views, education level, or financial standard because these don’t matter. I ask that you put aside all these differences and unite together, as one heart, to work towards a brighter future for Formosa. Stop the meaningless arguments, finger pointing, and let the past stay in the past. Taiwan – I plead with you. Please stop the self destruction, otherwise one day I may not have a home to go back to.